Should I preach the Gospel in a Muslim country? The conservative news website Newsmax.com has released a list of 100 most influential evangelicals in America, which consists of many of the biggest names in evangelical Christianity and a few surprises. 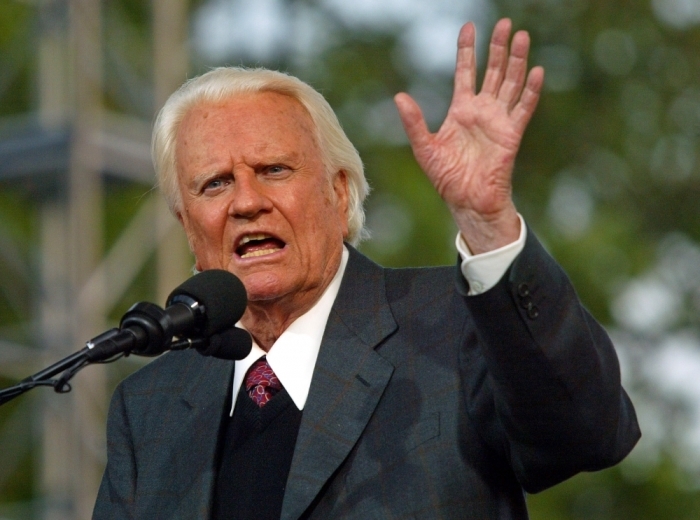 The 99-year-old world-renowned evangelist, Billy Graham topped the list, which was produced on Friday. Newsmax credits Graham for building a legacy "as the greatest preacher of the gospel America has ever known" even though his age and health has forced him to slow down his ministry in recent years. Graham's son, Franklin, who now heads the Billy Graham Evangelistic Association and also founded Samaritan's Purse humanitarian aid organization, ranked as the No. 2 most influential evangelical. The younger Graham is a regular commentator on current events and has been very vocal in his opposition to LGBT policy initiatives. Televangelist Joel Osteen, who pastors at Lakewood Church in Houston, Texas, was listed at No. 3. Former Arkansas governor, television personality and former presidential candidate Mike Huckabee ranked at No. 4. Televangelist Pat Robertson of the Christian Broadcasting Network's "The 700 Club" was listed at No. 5 and megachurch pastor Rick Warren of Saddleback Church in California ranked No. 6. Jerry Falwell Jr., the president of Liberty University and one of President Donald Trump's most loyal evangelical supporters, ranked at No. 7, two spots in front of Vice President Mike Pence. "The former Indiana governor was chosen by Trump to be his vice president in large part for his traditional Christian conservatism," writer Jen Krausz wrote of Pence in the rankings. "He is notably creationist and pro-life, and attributes many of his political stances to his evangelism. As one commentator put it, 'Pence doesn't simply wear his faith on his sleeve — he wears the entire Jesus jersey.'" While the list goes on to rank other evangelicals like T.D. Jakes (14), John Hagee (13), Tony Perkins (14), James Dobson (18), Paula White (20), Tim Keller (29), Ravi Zacharias (31) Robert Jeffress (41), and Richard Land (42). One of the most interesting selections on the list is Princeton University law professor and well-known Catholic Robert George (52), who appeared after Phil Roberston (51) and before Jeremy Lin (53). 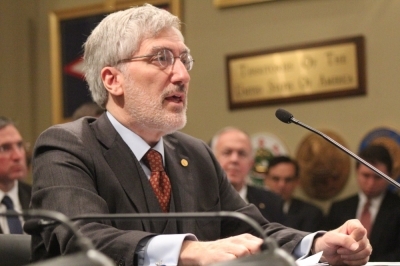 "Although he's a Catholic, he's revered for the Manhattan Declaration, a manifesto signed by evangelical, orthodox, and Catholic leaders that promised resistance against legislation that might implicate church values," Krausz wrote. "In 2008, George was awarded the Presidential Citizens Medal by George W. Bush for bringing analytic clarity to the study of America's ideals." George, who also served as chairman of the United States Commission on International Religious Freedom and is a proponent of the traditional Christian belief of marriage, took to Facebook to voice his opinion on the Newsmax list. "According to Newsmax, the 52nd most influential Evangelical in America is a Catholic, rather than an Evangelical," George wrote. "The guy who's 92nd on the list should be 2nd. I'll grant that Billy Graham is 1st. Newsmax certainly has that right." Ranking in at No. 92 is Russell Moore, the president of the Southern Baptist Convention's Ethics & Religious Liberty Commission and a prominent evangelical critic of Donald Trump's presidential campaign. "As an ethicist, preacher, and president of the Ethics and Religious Liberty Commission, Moore handles public policy for the Southern Baptist Convention," the article states. "Moore refused to endorse Donald Trump before the 2016 presidential election and encouraged Christians to vote for a third-party candidate." Roma Downey (10), is also Catholic, according to Beliefnet. George wasn't the only one surprised by the Newsmax list of evangelicals. Some commenters took to Twitter to voice their confusion as to why the list included some non-evangelicals and prosperity gospel types. Conservative columnist Matt Walsh (81), noted on Twitter, "I'm honored to be on the list, guys, but the only thing is that I'm not actually an Evangelical." "That newsmax list of 100 most influential evangelicals is funny," Jesse Johnson, the teaching pastor at Immanuel Bible Church in Springfield, Virginia, and an associate dean at The Master's Seminary, wrote in a tweet. "A few aren't even evangelicals; some I've never heard of, and some I didn't even know were still alive." Are Evangelical Roy Moore Supporters Hypocrites?